The RS:FLIGHT AL is an exceptionally durable high-performance modular Aluminium / G10 windfoil designed with emphasis on control, stability and early take-off. Perfect as a starting foil to experience your first flights, it also delivers plenty of speed and upwind performance for more advanced riders. 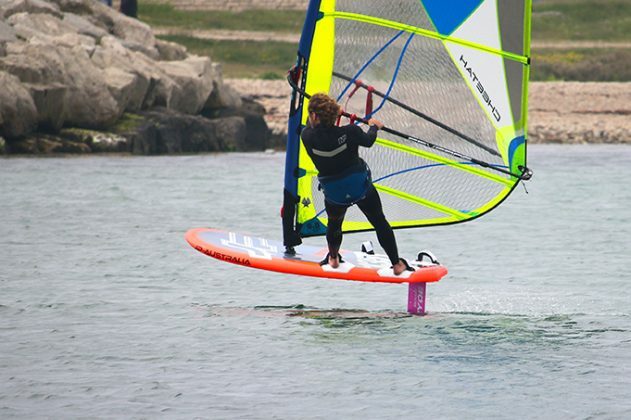 The Hydrofoil 135 could be called an all-round foil-board – it makes foiling easy and accessible for everyone who wants to experience the feeling of flying over water. It is also a very efficient racing machine. The RS:Flight AL has a welded solid aluminium head and is easy to fix into a Deep Tuttle box, the screw lengths used no longer critical as they can continue deep down into the base. With one of the shortest front wingspans and chords in the group, it is no surprise that the AL takes a little more pressure in the sail and effort from the rider to achieve early flight. With good pumping technique, it is certainly capable and can be used with a wide board / large sail combination in light winds, lifting actively and predictably for a controlled flight. It accelerates well to a good speed, so much so that some resonance in the mast occurs and it begins to ‘sing’ – the higher the pitch the faster you’re going! We’ve used quite a few ALs in the centre and they all have lungs, humming away as they gather pace. It actually acts as a fantastic early-warning system to other water-users around, whilst you cut your otherwise silent path through the water! There is also a proven method to lightly sand the trailing edge of the mast (documented online) to mitigate the humming if you so wish. The fuselage of the AL is short at 71cm, the front wing protruding beyond the strut’s end to increase the length slightly to 73.5cm, yet it remains the shortest in this test group. It helps to explain the AL’s fast response time, adjusting its height rapidly under the pilot’s guidance. The dorsal fin above the tail wing helps to provide directional stability as you push through the foil and is certainly a welcome addition. It is suggested in Pryde’s literature that it can be taken off to reduce drag and increase speed, but we don’t think this is necessary for such marginal gains. The AL provides a very good turn of speed fully assembled, preferring a more upright stance instead of cantered over to windward. If you try to bank it over, the straight G10 wings don’t tend to lock the foil in place as well as others, allowing it to slip slightly from underneath you. Another tuning option is to use a washer under the front or back screw of the stabiliser wing to adjust its angle of attack – angled down for more lift or up for less. It is a relatively crude method of adjustment, but it can provide that extra bit of balance should it be required. In strong winds the AL continues to retain its manners, providing a wide wind range and plenty of performance to really explore and master. 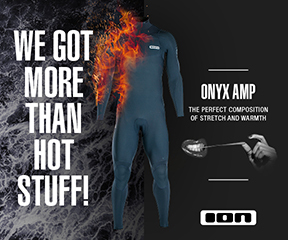 One of the earliest foils to really hit the market, it still has lots to offer in both ease and performance, representing excellent value for money. 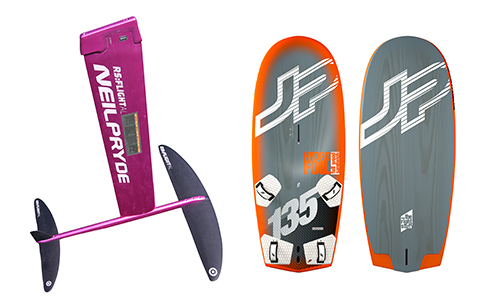 The JP Hydrofoil 135 is very short and wide, with plenty of width right through the tail. JP say it can be used with a fin as well if desired, but with such width in the tail we can only imagine the back leg burn it may cause! Partnered with the AL it worked particularly well, with plenty of strap options to suit rider weight and preference. All positions are quite outboard, and with such a boxy outline, the 135 is very active and responsive, so demands a more positive riding style from the pilot. With time spent getting used to it, you really begin to relish the immediacy of its feedback, providing the confidence to delve into its undisputed potential.